Teaching children to recognise how they feel and how others feel is an important job. Those of us with toddlers know how focused they are on what they want or need at any given moment in time, as well as how quickly they can change their minds. This is why Sam and Val are working to make our toddlers more aware of how they and other children feel. This is done using a mood board. 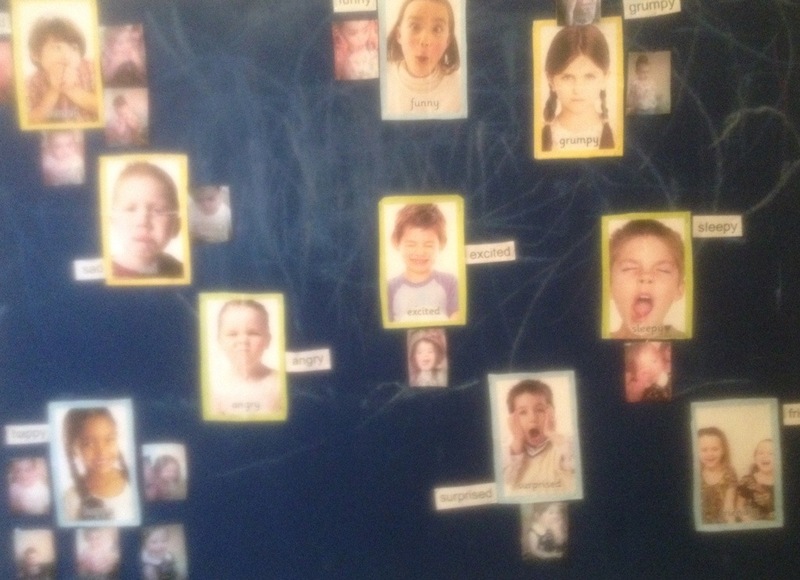 The children are shown the faces and asked questions about them and also asked to identify how they and others are feeling. This helps develop feelings of self awareness and empathy for others. By the time our toddlers are ready to move into the preschool, they have developed the social skills to enable them to really start learning and playing and getting ready for school.